Winter is coming – got your ‘moccis’? The ‘moccis’ I knew when I was little were never as stylish as these. Between her macramé and her KnitWit course, my mum squeezed in a moccasin workshop at the local community centre and learnt to make them. The whole family had a pair…. it was the seventies, but let’s just say, some things are better left to the professionals. 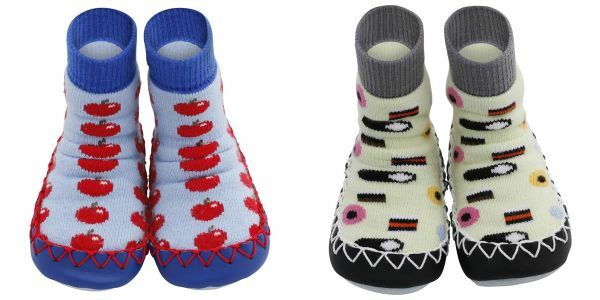 Moccis, designed and made in Sweden, are cute and toasty warm slippers or ‘indoor shoes’. Each pair of Moccis has a durable, flexible and skid-proof leather sole and double elastic at the ankle to keep the moccasin on. They’re also machine washable. 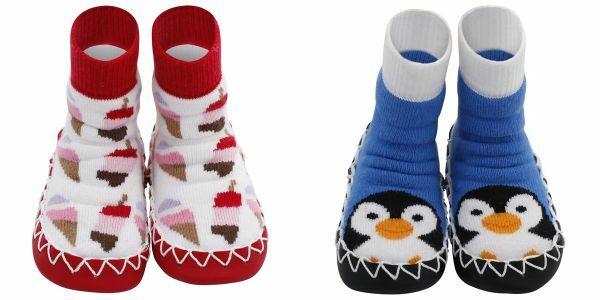 Slipper-credentials aside, it’s the super sweet designs that will win kids over – crocodiles and penguins through to liquorice allsorts and apples – the challenge is in choosing. Moccis are available in baby, junior and adult sizes. Children’s Moccis are £18 a pair and adult Moccis are £28. Moccis ships internationally.